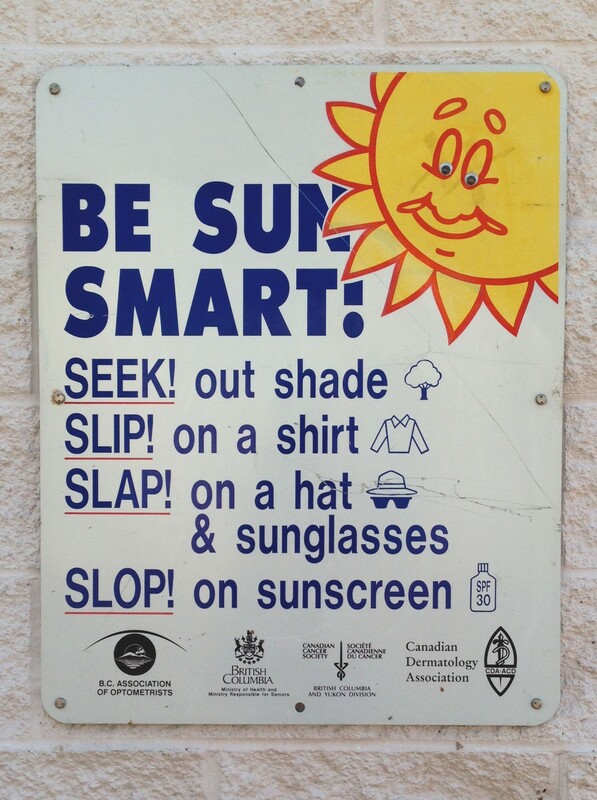 Safe Travels: Sun Safety. Dealing with sunburn. I am not now, nor have I ever been, good in the sun. When subjected to UV rays, my skin has the charming, terribly English tendency to burn, peel and go white again. I also happen to be a sort of heat-activated rage monster who, in temperatures over 35 degrees, will happily turn on my loved ones in exchange for ten minutes of air con. Reflecting on those two facts, you might wonder why I ever decided to get on a plane to Asia last February and spend the next three months living in tropical weather. Hell, I guess I’m just crazy like that. I have had three terrible sunburns in my life; the kind that have kept me up at night, weeping as I roasted in my own skin like a giant, blonde jacket potato. One happened on a beach in England. The second whilst kayaking on a lake in Canada. And the third a few months ago, on a Thai island. The crime scene in question was Koh Lanta Yai, an astonishingly beautiful island off the west coast of southern Thailand. That fateful day, my boyfriend and I decided to rent a scooter and make our way up and down the beach-lined west coast of the island, stopping now and then to get a drink and cool off in the sea. Overall, our trip lasted about five hours, at least two of which were spent on the scooter, in direct sunlight. Before setting off, I had put sun lotion on, but made the curious decision to forgo my hands and legs entirely (if you think I’m hopeless, just know that my boyfriend failed to put on any at all). By the time we got back to our hostel we were both badly burnt, and spent the next 48 hours hobbling around like a pair of disgruntled storage heaters. While my burn was worst on the areas of my legs that were exposed due to my position on the scooter (outer calves, thighs), my boyfriend was worst hit on the face and quickly developed blisters on his nose. With some care and attention over the next few days, my burn eased. But – despite the gallons of moisturiser I chucked on it – it ended up blistering and peeling for the next couple of weeks. Aesthetics aside, there is a serious reason for keeping safe in the sun. Sixty-five percent of melanomas (the most dangerous form of skin cancer) are associated with exposure to UV rays, and yet many people still fail to protect themselves (a 2008 study by the CDC found that only 45% of American adults aged 18-24 use protective methods in the sun), perhaps because they don’t realise how much damage can occur in one exposure. Understand what you’re putting on your skin. Avoid buying sun lotion where the packaging is in a foreign language, and be aware that some sun lotions only provide protection against UVB rays, despite the fact that UVA rays are believed to be linked to skin cancer as well. For full protection, you should use a “broad-spectrum” (UVA/UVB) sun lotion with an SPF of at least 15 – a higher SPF is always better. You can browse sun lotions available from LloydsPharmacy here. You might be able to, like, totally stand outside a London pub in June for an hour without getting burnt, but when travelling to a hot climate you should still take precautions. Start on a higher factor sun lotion than you would normally use and then, if appropriate, work your way down. Also be aware that UV is stronger at higher altitudes and the closer you are to the equator. Don’t rely solely on sun lotion. Covering up with a broad-brimmed hat and long, cool clothing is advised if you are going to be out in the sun for long periods. And don’t forget to wear sunglasses that protect your eyes against UVA and UVB rays. Don’t be fooled by the air temperature or cloud cover – the sun can still get you! I learnt this whilst snorkelling on the Great Barrier Reef. That day, the air temperature was around 20°C and the sky was overcast – certainly not weather you would expect to burn your bottom in (an unexpected peril of snorkelling). Be wary of heat exhaustion. You should always carry a bottle of water, and plan your clothing before going out – I fell foul of the “no bare shoulders” rule at a temple in Siem Reap and had to wear my boyfriend’s shirt to cover up, leading to me overheating and almost fainting. Symptoms of heat exhaustion include: faintness, nausea, headaches, confusion and hallucinations. Get out of the sun. Duh. Drink LOADS of water. Sunburn can seriously dehydrate you, and you do not want heat exhaustion on top of a burn. Moisturise and cool the burn using cold water and moisturisers or aftersun products. I found Elizabeth Arden Eight Hour Cream was really effective at soothing the worst areas of the burn – the rest I slathered in aloe vera gel and moisturiser. Use over-the-counter painkillers if the burn is painful. Old Wives’ Tales: Does yoghurt soothe sunburn?A Greek friend of ours advised me to cover myself in yoghurt to alleviate the pain of my sunburn. In my case, it turned out to be a complete myth, though I welcome others to try! Just make sure you use plain yoghurt, and nothing with strawberries in it. No Muller Fruit Corners, basically.James, 25, Birmingham Verdict: Probably not. A bit of sun is a good thing. Your body creates most of its vitamin D from sunlight on the skin. Without enough sun/vitamin D, your bones can become brittle and weak. Learn more about getting the right amount of sun from the NHS here. And avoid covering yourself head to toe next time you leave the house. You’re not a vampire. Do protein shakes work?Do I have depression?